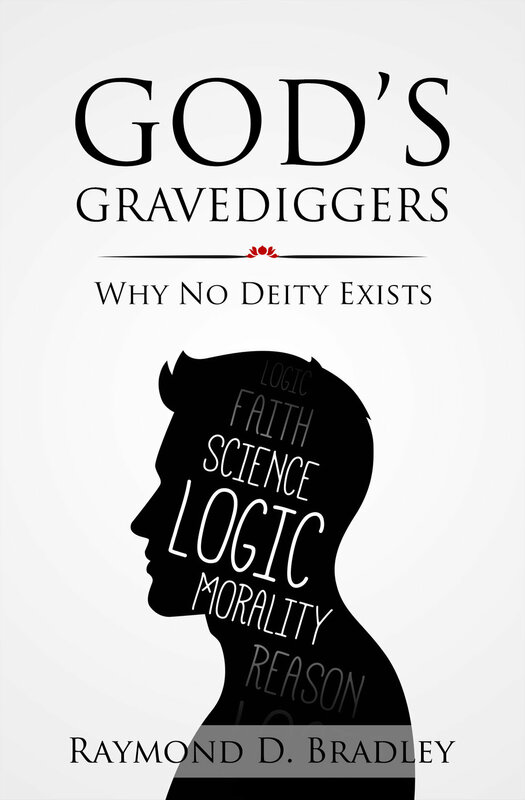 God's Gravediggers: Why no Deity Exists. Few can offer a more experienced view on religion than Raymond Bradley. Having been raised as a ‘winner of souls for Christ’ in the 1940’s, he spent the next 40 years as an atheist professor of philosophy and an outspoken critic/debater of religion. Revered for his work in logic and his meticulous approach to debate, God’s Gravediggers is Bradley’s coup de grâce to religion. A career’s worth of work on a subject that could hardly be more important. Approaching the moral, logical and scientific arguments – using rich analogies, rational arguments and examples that non-academics would understand – he explores not only whether God exists, but also what damage the concept of God does. A timely book in an age of religious fundamentalism, hatred and conflict. Professor Robert Nola, University of Auckland.